The Palace Casino is located in Edmonton, Alberta, Canada. It is a part of the West Edmonton Mall which helps set this casino apart from others that can be found in Canada. There is 64,000 square feet of gaming space in the casino and there are plenty of other attractions that can be found when visiting the Palace Casino. The facilities that surround the casino make this the perfect place for people of all ages. There is literally something for everyone who visits the Palace Casino. The large size of the casino floor means there are plenty of gaming options for everyone that visits the casino. Slot machines, table games, a poker room and VIP gaming rooms can be found when visiting the Palace Casino. The games are spread out over the tow floors of the casino. Slot enthusiasts will find a mixture of classic slot machines, video slots, progressive machines and slots machines. The machines range for penny machines to dollar machines. The machines are coinless. They use tickets that can be entered into the machine and are printed out when a player is finished playing. Players can also enjoy a special atmosphere and high limit slot machines in the Starlight Room. The high limit room offers baccarat, pia gow, ez roulette, double laydown baccarat for all that want to take the chance to bet big and win big. Poker enthusiasts will enjoy the options found in the poker room. Limit and no limit games are played in there. Texas Hold’em with bad beats jackpots are played in this room. Tournaments are held every Thursday in the poker room. The key to the promotions at the Palace Casino is the player’s rewards card. The card is free to register for. Players will earn points on the card as they play the games. The points will earn a variety of rewards that include merchandise, food, free play and more. 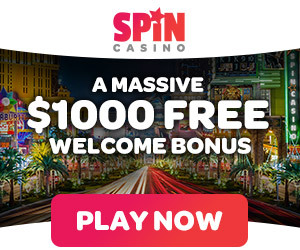 It can also be sued to enter into special promotions and giveaways that occur on a regular basis at the casino. The players rewards card is good not only at the Palace Casino, but at all of the Gateway casinos. There are plenty of amenities when visiting the Palace Casino. Two restaurants are located in the casino providing different options for lunch and dinner. The adjacent West Edmonton Mall also has plenty of dinging options that range from fast food to more upscale eateries. People can also spend some time visiting and shopping in the stores of the mall. The mall also has a wave pool, ice skating rink, live entertainment in the Empire Ballroom, spa services and a comedy club. The Palace Casino is open daily for 10 am to 3 am.